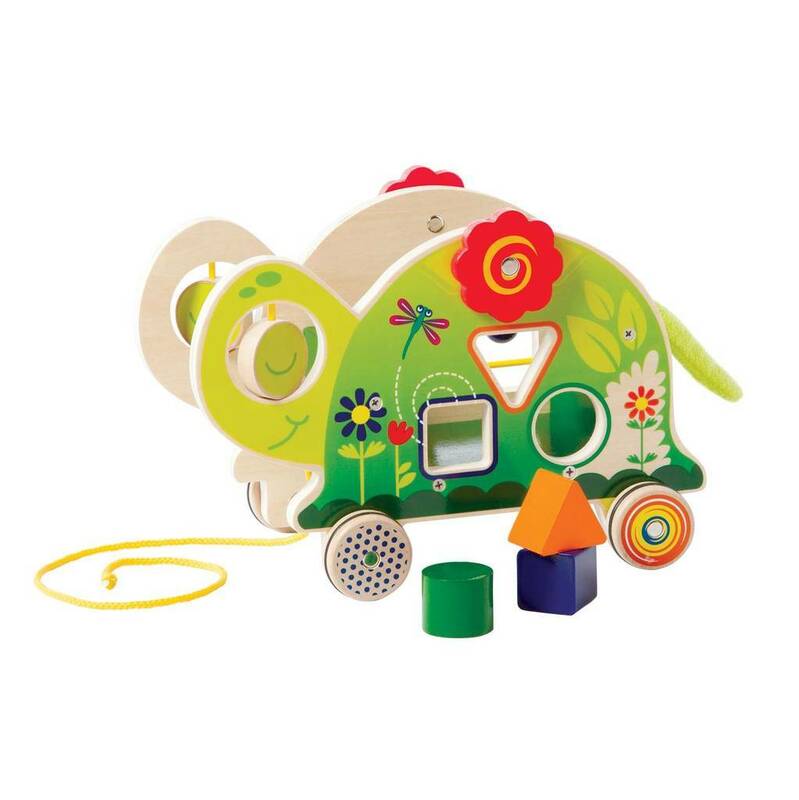 This friendly turtle is packed with play activities to foster fine motor skills. 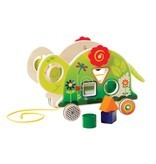 Truman Turtle pull-toy rolls along on any flat surface with rubber-trimmed wheels. 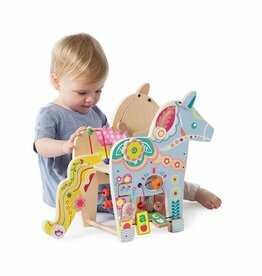 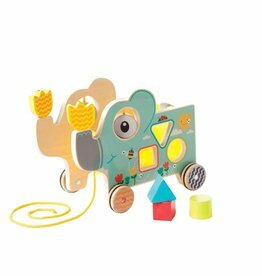 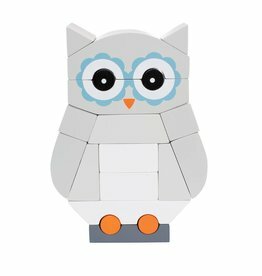 Material: All wood toys have non-toxic water based finishes. 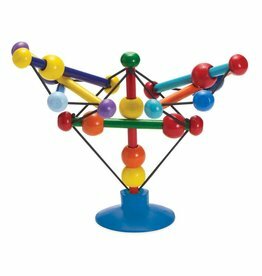 This table top activity toy features elements of colorful wooden rods, beads and stretch cords.